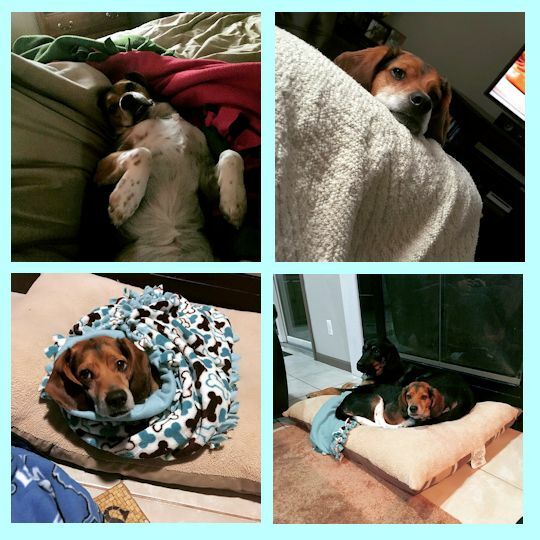 My husband and I adopted a sweet little boy beagle from you back in October 2014 and I wanted to let you know how well he is doing. When we first got him he instantly was attached to me, but not so much my husband or our other two dogs. Now he is very happy not only when I get home, but when my husband does too! He has learned to love his fur siblings and he is sad when we take him places without them. He is still a little skittish of new people, and gets nervous when there is a house full of people, but he is improving more and more everyday. He has become a great addition to our family, and we couldn't be happier with him. Thank you so much for giving us a chance to give this guy a great forever home, we love him.